iThenticate has added two new features: Section Exclusion and Detail Report. Section Exclusion allows users to set folders or Similarity Reports to exclude matches to a document’s “Abstract” or “Methods and Materials” sections within a Similarity Report. Also, administrators can now access Originality Reports from the “Detail” report within the Manage Users section of iThenticate. The UGC's new regulations in India require universities that award MPhil/PhD degrees to begin “using well-developed software” to detect plagiarism, in an effort to curtail and avoid many of the academic plagiarism scandals that have plagued other nations. 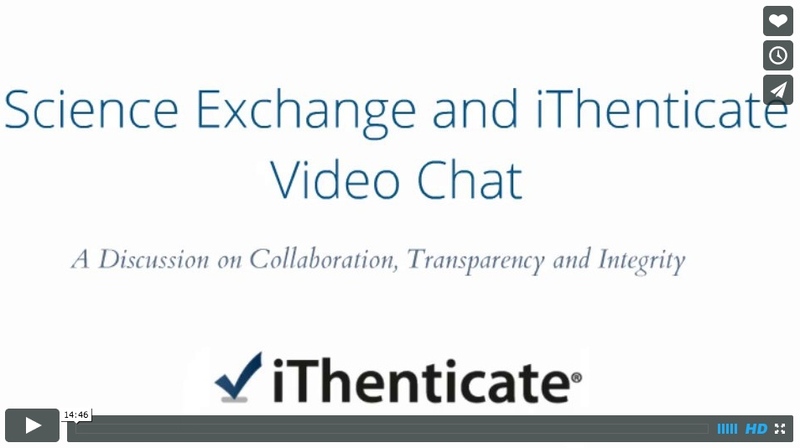 Kailash Balani provides insight into the decision and how iThenticate is playing an important role. Turnitin's 2015 Plagiarism Education Week conference examines how current global trends are affecting our values, especially those related to education, and proposes strategies on how we can address these challenges. Educational experts, passionate educators and Turnitin All-Stars will share their perspectives, lessons, and research. Plagiarism on college campuses is a well-documented problem. Much of the emphasis is placed on undergraduate education and the need to teach students how to correctly integrate writing into their courses. What is less often discussed is the growth of cheating and plagiarism in graduate and professional schools. In fact, while rates of cheating among graduate students are lower than among undergraduates, they are not substantially lower. The paper, Ph.D. in "Cut-and-Paste"?, provides insight into the growing problem of plagiarism in graduate programs, and why it may be particularly prevalent in STEM disciplines and among ESL students, highlights consequences and types of plagiarism facing graduate students and scholars, and offers educational solutions to preventing plagiarism within the graduate community. Which publications are in the iThenticate database? Search 100,000+ publications that have archived 38+ million scholarly articles, books and conference proceedings into the iThenticate database through the CrossCheck powered by iThenticate service. Thousands of journals and articles are added monthly. Amba research writes many important and sensitive documents for their clients, including earning summaries, earning previews, earning reviews and sector reports. For all reports the company produces, it is essential that the work be original and sourced correctly. See how Amba uses iThenticate to screen for duplication and proper English usage, and helps provide financial and investment reports to clients with confidence. 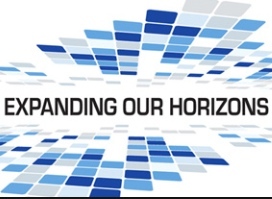 Next week visit our table at the American Medical Writers Association Annual Conference in Memphis, TN. Also attend our session, Understanding Plagiarism and Adapting to “Checking” Technology, on Friday, October 10 at 10:30AM. This session will explore plagiarism trends, use cases and demonstrate how iThenticate helps medical professionals better evaluate written work before publication. Although billions are spent each year on health research much of it is not reported adequately in the literature. This seriously undermines the usability of reported findings and misleads clinicians, researchers, policy makers and, ultimately, patients. 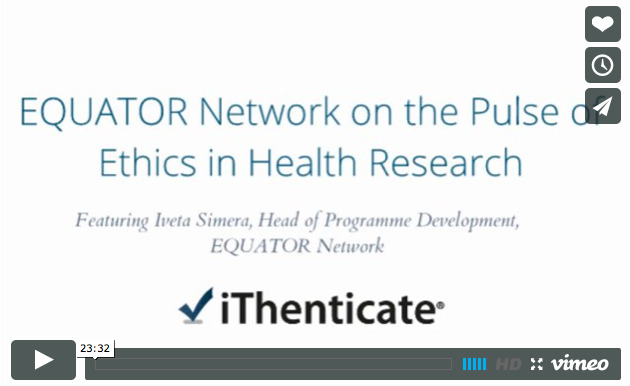 Dr. Iveta Simera, Head of Programme Development for the EQUATOR Network (Enhancing the QUAlity and Transparency Of health Research), recently connected with iThenticate to delve into key ethical issues in health research. During this 20-minute interview, Simera highlights ethical issues in medical research today, explores the adeptness of current extrajudicial process for addressing ethical issues, and suggests steps that journals, authors and or/editors could take to help improve the quality of reporting of medical research. Which publications are in the iThenticate database? 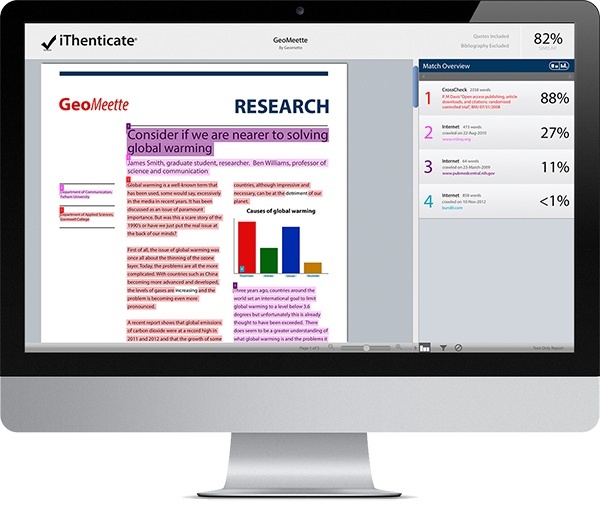 Search 100,000+ publications that have archived 38+ million scholarly articles, books and conference proceedings into the iThenticate database through the CrossCheck powered by iThenticate service. 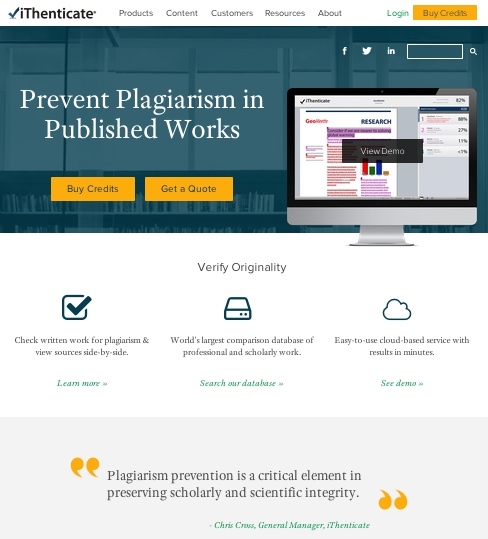 To ensure academic integrity and avoid plagiarism, the University of Manitoba has integrated leading plagiarism detection technology iThenticate into their Research Integrity framework, and made the service available to graduate students, researchers and faculty. Having recently participated in the annual conference at ISMPP, Bob Creutz from iThenticate raises five reasons that pharma, agencies and independent medical writers might consider incorporating iThenticate into their standard practices. What if you could access experiments from some of the world's premier research labs with the click of a button? Or collaborate with scientists all over the world even if you've never met? 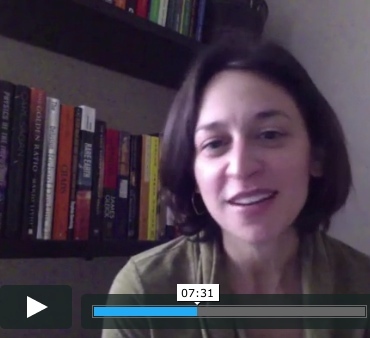 In this video chat, Elizabeth Iorns, cancer biologist and co-founder of Science Exchange, gives us the scoop on how this open marketplace is transforming research methodologies and boosting reproducibility. Hear (or read) Iorns' views on how increasing collaboration may lead to greater transparency and integrity, and less misconduct in scientific research. iThenticate Academic serves nearly 100 leading research universities worldwide with a solution to prevent academic misconduct. To help administrators and users get started faster and more effectively, we have created a web page with easy-to-follow tips and guidelines. Columbia International Publishing (CIP), which is an open-access publisher of more than 60 scientific journals recently spoke with us about making research integrity a top priority, and how signing up for CrossCheck powered by iThenticate has helped prevent dozens of submissions containing plagiarism from being published. iThenticate's newsletter, CTRL-V, discusses the latest and most pressing stories around plagiarism and scholarly misconduct issues. CTRL-V features Jonathan Bailey from Plagiarism Today who provides expert analysis on the issues of the day. Get on the mailing list by signing up for blog updates. First off this issue, Calvin Reid at Publishers Weekly reports that actor Shia LaBeouf has found himself at the center of a plagiarism controversy after the release of his short film, “HowardCantour.com”. LaBeouf released the film, which he directed, in December, but others began to suspect it was a plagiarism of an earlier graphic novel by author Daniel Clowes’, so much so that some said the graphic novel functioned like a storyboard for the movie in places. Following the allegations, LaBeouf took the film down and tweeted out a series of apologies. However, it was later revealed that those apology tweets were lifted from a response in Yahoo! Answers, which prompted LaBeouf to apologize again, this time using words from Tiger Woods and Kanye West among others. Eventually, Shia took to the skies with his apology, paying a skywriter to write “I am Sorry Daniel Clowes” over the skies of skies of Los Angeles. However, the gesture was likely symbolic as Clowes lives in Oakland. However, the apologies have not been enough to placate the publishers involved. Clowes’ publisher, Fantagraphics, has said that it is “exploring all legal options” and another publisher, Melville House, whose author Benoit Duteurtre may have had his novel “The Little Girls and the Cigarette” plagiarized earlier by LaBeouf in a mini-comic “Slate N Mate”, is also said to be looking at filing a lawsuit. LaBeouf, however, has changed his tone and, in a recent interview with Bleeding Cool News, which in and of itself contained plagiarized passages, argued that the plagiarism was intentional and that “Authorship is censorship”. He goes on to say that nothing is original and that copyright law is fundamentally flawed. Analysis: Plagiarism is somewhat unusual in that it is both an academic and a creative concept. The scholar and the novelist can both plagiarize and it is important that artists of all types explore the concept of creative plagiarism because, in doing so, one better understands the broader concepts of creativity and originality. There’s even a type of poetry, named Cento, that is comprised of a patchwork of verses and phrases from other sources, without attribution, as part of the art form. However, there is a time and a place for this exploration. LaBeouf’s exploration, which comes right after he was accused of plagiarizing a film, was neither. Any merit that might be found in LaBeouf’s arguments is lost due to his timing. It comes across more as an attempt to save artistic face than a serious attempt to explore a deep and complex issue. To make matters worse, LaBeouf’s arguments are as stale and as recycled as many of his words. They’re the same arguments that have been used over and over again, not just by the authors he copied from, but from countless others, many of whom also stood accused of plagiarism. Whether LaBeouf is genuine with his arguments is irrelevant. In his current position he’s doing nothing to further the discussion and is dragging out a scandal that, in truth, should have been put to bed weeks ago. Wishing you a happy & safe holiday season! While peer reviewing a manuscript, accomplished researcher and post-doctoral fellow C. Lyssiotis at Weill Cornell discovered an instance of plagiarism -- his own work appearing in the paper. To confirm his suspicions, he used iThenticate to screen the paper and identify the original sources. In what way was it plagiarized, and how was it handled? Watch this video to hear the full story. Plus, hear his thoughts on how plagiarism could be prevented and possibly eradicated in published research. It's been a few weeks since the Document Viewer has become the default report view (displaying papers in their original formats). Do you have a minute to tell us about your experience/s and let us know what you think? Introducing the Document Viewer. It's the newest way to view Similarity Reports. If you haven't seen it already, login to see what you've been missing! The Document Viewer displays uploaded files in their original format and has several other key benefits, including easily identifiable areas of matching text within the document, the ability to view underlying sources for a top source, and the ability to print out the formatted report with match highlights identified. Plus, our 'match tuning' has been enhanced. This means an improved quality of matches found within reports. 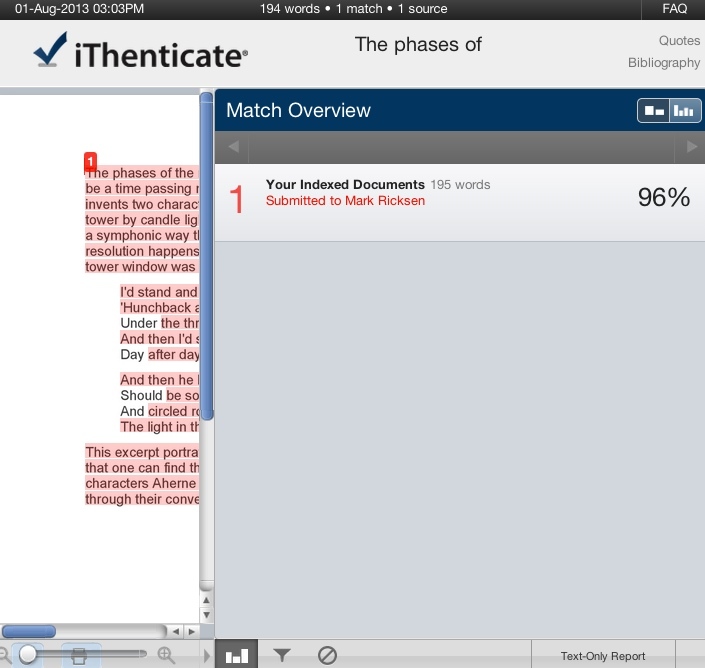 Plagiarism detection software is accessible, affordable and effective, yet many misunderstandings exist about its use. This webcast features a lively discussion between two of the creators of the paper, "7 Misconceptions of Plagiarism Detection Software". A core value of TaxAudit, particularly in its education department, is integrity. Though plagiarism may often be accidental, it could damage a company's reputation. To prevent incidents, TaxAudit.com has integrated iThenticate into its educational and marketing editorial processes. Their director of communications discusses their reasons for using plagiarism detection software more in-depth in this video. Product Manager of iThenticate, Mark Ricksen, hosted a CrossCheck session at last week's CrossRef User Group Meeting. "CrossCheck usage has increased almost twofold this year as scholarly publishers continue to adopt plagiarism detection technology into their editorial processes to ensure the originality of published works," said Ricksen. First off this edition, Paige Lavender at The Huffington Post reports that Rand Paul, a Republican Senator from Kentucky, has been accused of plagiarizing during a pair of speeches he made over the past few months. The initial allegations surfaced from Rachel Maddow, a liberal television commentator and staunch Paul opponent, accused Paul of lifting four lines from a speech from Wikipedia. In his speech, Paul was discussing the dangers of eugenics and was doing so by referencing the 1997 movie “Gattaca”. However, when describing the plot, Paul used several passages from Wikipedia verbatim or near-verbatim without attribution. Since then, Buzzfeed reporter Andrew Kaczynski has found another possible instance of Wikipedia-related plagiarism, a June speech that referenced the movie “Stand and Deliver”. There, according to Kaczynski, Paul repeated nearly three paragraphs from the Wikipedia entry on the movie but failed to attribute the site. In an interview with Fusion, Paul was asked if he had plagiarized and he responded, saying, “I gave credit to the people who wrote the movie… Nothing I said was not given attribution to where it came from.” No mention, however, was made of Wikipedia. What are the precise steps an editorial team takes in determining whether or not a manuscript contains plagiarism? The complexity of plagiarism challenges editors in many ways, a challenge they take very seriously and handle cautiously and thoroughly. In this webcast, Charlotte Seidman, managing editor for Elsevier journal, American Journal of Preventive Medicine, starts inside the plagiarism report—describing best practices for identifying duplication and interpreting results—then takes us beyond the plagiarism report, illustrating how it can be used as a multi-faceted decision-making tool. Indeed we have updated our website! The refreshed appearance and layout includes a simpler navigation, a slicker page layout and improved search capabilities. These changes will provide an improved experience for visitors and customers. We invite you to browse around and send us any feedback. The American Chemical Society recently issued a press release highlighting its extended use of CrossCheck powered by iThenticate. ACS has decided to provide its 40+ journals access to the plagiarism detection service in an effort to deter forms of duplication, including self-plagiarism. Attendees at the upcoming AMWA annual conference will have an opportunity to hear about plagiarism in the medical industry during a panel discussion titled, "The Rising Tide of Plagiarism in Medical Writing". Speaking on the panel is Jonathan Bailey of Plagiarism Today, Jason Chu of Plagiarism.org and S. R. Distelhorst of Northwest Health Communications.